In the year 2052, it's not love but hate that unites the world. Humanity is unified against the Inborns, an extraterrestrial species with godlike intelligence and abilities, whose arrival on Earth caused an environmental and biological crisis. Enslaved and despised even by her own Inbornkind, 18-year-old Snofrid Yagami reawakens to the world after having her memories stolen and is certain of only one thing: She will do anything to ensure her freedom. But her resolution is soon tested when the son of a high-ranking human official is murdered, and her home city becomes the center of an interspecies war - one that might see the Inborns purged. Desperate to find a way out of the city for herself and her family, Snofrid risks making a deal with the manipulative Inborn commander, Hadrian, and his brutal cadre of soldiers. Her task is simple: take part in a historic hunt that will bring wealth and fame to all who survive. Unfortunately, Snofrid's role is one in which survival is rarely seen: the bait. This book is incredibly interesting, but before I can praise the story line, I need to talk about the narration. Joe Calarco has a very pleasant voice to listen to, the reading for the female voices are great, and I really liked the musical interludes between chapters along with the sprinkling of sound effects here and there, BUT, I feel like this book is being read by an overly dramatic William Shatner impersonator. He. Talks. Like. This. And. Then. He. Emphasizes. CERTAIN. Words. For. Some. Kind. Of. DESIRED. Effect. When. It. Is. Not. NECESSARY. AT. ALL. Seriously, the narration does not start off with the over the top William Shatner style of speaking, but it progressively gets slow and slower, and more and more staccato and dramatized. At first it was mildly distracting, then it was frustrating, and at 4 hours in it pretty much infuriated me, because it really dampers the weird but wonderful story line! At 5 hours in, I had to listen at 1.30x speed. Having it at that speed makes the narration sound like it is being read at a NORMAL pace. At 1.30x speed it does not sound like you are holding down the fast forward button; That. Is. How. PAINFULLY. SLOW. This. Narrator. Reads. I had to skip some of the more emotional chapters, because the narration style was utterly unbearable. 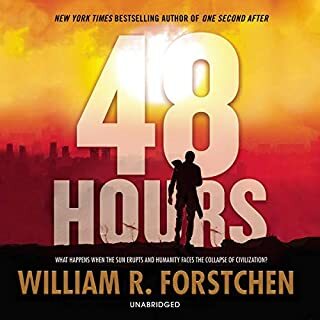 I eventually had to turn it up to a 1.35x speed later in the book, because I was so desperate to hear the rest of the story, but having to listen to an audiobook at that speed (out of pure necessity, even) really hinders what the book has to over. 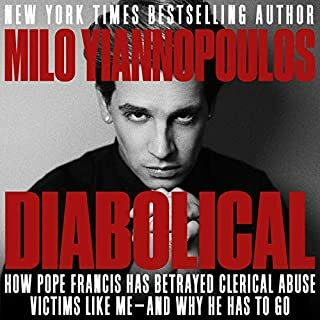 You simply do not get to hear much in the preview for this book, so I could not/did not expect to my negative reaction to the narration style. 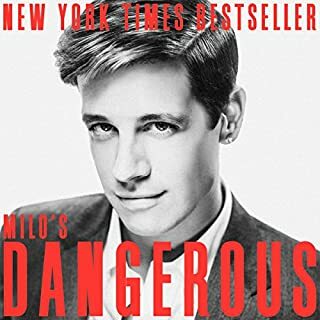 Thank goodness audible has a changeable speed function! 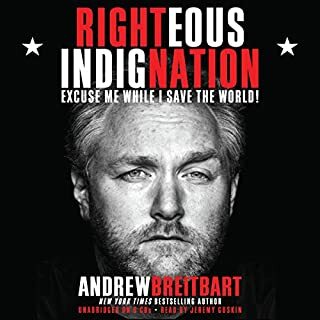 Perhaps it would be better to read a physical copy of this book. The narration style inflicted by this narrator is really a shame, because this book is fantastic!!! The protagonist is a young girl named Snofrid, however, all the other characters in this book are more interesting than her. That is by no means a bad thing! I can greatly appreciate well developed characters even when they are not the dominant characters! Basically, Snofrid has lost her memories and she is on a mission to re-learn her role in the world. You learn more about the different species and hierarchies of this dystopian world as Snofrid goes exploring and handling various encounters and situations. Therefore, you get to understand the thrillingly dark work Hatred Day has to offer at the same time as Snofrid, not only though her own experiences, but through the other intriguing side plots of the other characters. 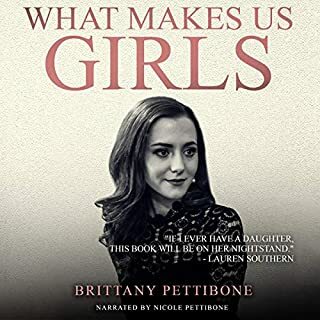 This book is very multidimensional, and there are a lot of things going on, and (from what I can gather from the audiobook) it is very well written. The world created in Hatred Day is like a dystopian/cyberpunk crossover, and it is presented marvelously. The story is very complex, and it does an outstanding job at character development without being heavy handed with descriptions. I would highly recommend it to lovers of sci fi and dystopian fiction, and while it is considered YA, I’m sure many adults can appreciate the multifaceted plot, characters, and settings. Well Worth the Credit !! There's a little bit of everything in this story. Aliens, humans, alien human hybrids, an altered/damaged earth, special abilities, unusual beast creatures and more all wrapped up into a complex and entertaining story. Even though the story takes place in Oregon, it felt more like a global society. 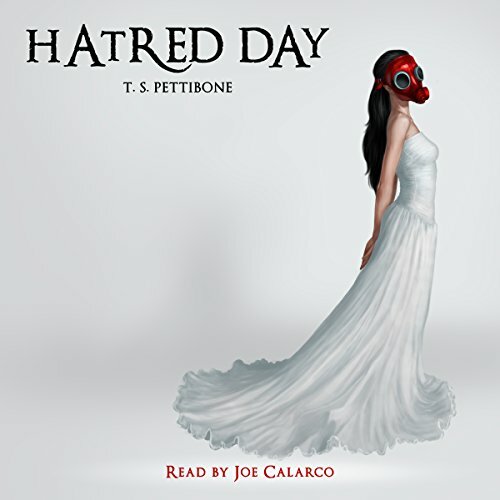 Where does Hatred Day, Book 1 rank among all the audiobooks you’ve listened to so far? I haven't read much fiction for a long time, but I found this book a creative and very interesting book combining a lot of enjoyable elements I desire in science fiction with some interesting new characters for future books. I watch a lot of science fiction movies and TV shows rather than read fiction books (I spend a lot of my time reading non fiction for work so not a lot of time for fiction reading). First time authors, the Pettibone Twins, did an excellent job world building creating in my imagination a future dystopian Earth after god like aliens immigrate to the planet (or invade?) and severely disturb humans, animals and the environment. The story follows a young adult half human/half alien girl (she can't remember she's a "halfbreed" because her memories have been stolen) who is trying to protect herself and her family from being murdered by all kinds of danger. As she's desperately trying to save herself and her family, there's a lot of creative mixing of science fiction, technology, magic, aliens (the god like Inborns with super powers) along with a lot of crazy human drama a teenager or young adult might experience in his or her life. I didn't find myself bored during any of the back story/flashback sequences either since those are tricky to put into a story without screwing up the flow of the story. There was a good amount of twists and turns. The main character, Snofrid, had a large amount of her memories stolen so she is desperate to regain them and learn the truth about herself and her past. While she is doing this, her world is being turned upside down on a daily basis in new and unpredictable ways. What does Joe Calarco bring to the story that you wouldn’t experience if you just read the book? The guy reading the book was OK. There was room for improvement in his voice work and I probably would have preferred a female reading some of the lines Snofrid said. Ideally, in my opinion, there should have been 2 different voice actors reading the book, one male and one female. I think it might have flowed a bit better than it did with one man speaking the audio book. I finished the book basically over one weekend. I thought it was a good story. I will probably buy the 2nd book in the series when it comes out. An excellent first book from first time authors. Can they follow this up with another good-great book and build this into a franchise with a potential adult (TV-MA) cartoon and/or movie in Japan? I really enjoyed the dynamic characters. There is not a single one I found dry or superfluous. The worst thing about this book is having to wait for the next one in the series. still not there. one more line. This is definitely a unique story, and the world created by the authors is vast and complex. I definitely look forward to see where this series goes. Best novel I've read in quite some time. This is by far the best novel I've had the pleasure of reading (or rather, listening to, I guess) in a very long time. The story was really great, and I love how the characters actually hold to their own convictions and rules and laws rather than dumping them at the first sign of adversity or inconvenience like so many characters written today. There's a lot of good written into this story. I very much look forward to Verdict Day. The readers annunciation and volume is difficult to follow. The sound effects are cheesy and distracting from the story. The story has a weak start but seems to become stronger mid way. seems similar to "golden sun" sci-fi. The cultural implications are interesting I hope the author keeps it up. I heard about this on an icy radio show. 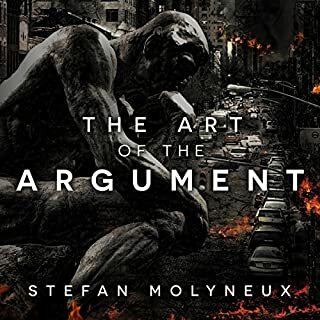 This is one of the best audiobooks I have ever heard. Besides a wonderful story, it has brilliant production effects, musical interludes, and an awesome narrator. Highly recommended. Would you try another book written by T.S. Pettibone or narrated by Joe Calarco? Yes. I found the story really interesting. On one hand the story slowly builds. On the other we jump straight into it. There's plenty going on and you have to concentrate to keep track but its good. What was one of the most memorable moments of Hatred Day, Book 1? I'm not giving away spoilers as that is not fair. However we have a large variety of characters and associated cultures that creates a great and often tense atmosphere. Sno is a great character, Rhode and Lucian as well. I like the world that the author has built. An earth that is not earth, changed by for want of a better word immigration. A war going on, magic in the world that adds a different dynamic and also a different feel to our earth. I thought that the narrator warmed up to the work about half way through the book. There was a little bit of an uncertain start where I did feel that I was being read too but as I got into the book I felt that this changed. Could you see Hatred Day, Book 1 being made into a movie or a TV series? Who would the stars be?